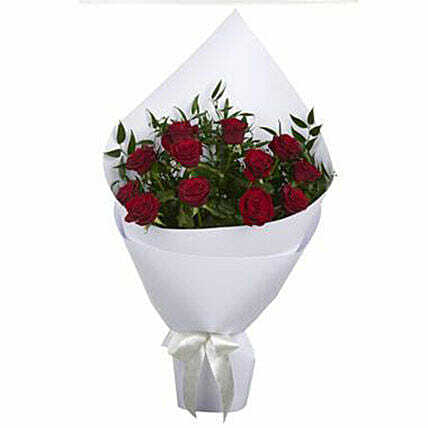 Red roses expresses the deepest feelings of love and romance in the most subtle manner. Red roses are spiraled with fresh foliage and wrapped in a white paper with tissue and ribbon trim to make your anniversary or Valentine’s Day gift a special one. 6 Super Grade Red Roses spiraled with fresh foliage.